Modiano Essence 4 PIP 4 Color is narrow size. 4 color which means each suit has a different color on the face. The 4 PIP index refers to the number of pips (the letter or/and number in the corner of the card). A 4 PIP indexed card has smaller pips but a larger picture in the middle than a jumbo index. 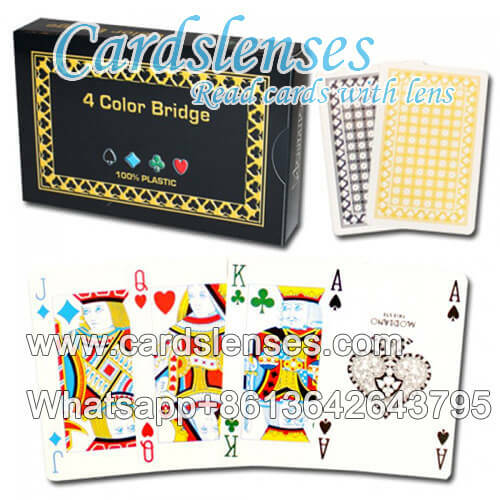 Invisible Modiano Essence 4 PIP 4 Color marked cards are popular in Texas Holdem game. -4 Color - Each Suit Is A Different Color!